Images are supplied by UKCoinCo. 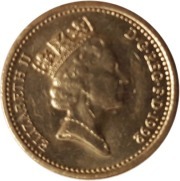 If you are interested in buying a 1992 One Pound Coin - Oak Tree then visit http://ukcoinco.com/product/1992-one-pound-coin/. UKCoinCo also purchase coins and coin sets. Mintage: 36,320,487 (may include coins issued as part of a set). Minted at The Royal Mint. Summer Olympics held in Barcelona, Spain. 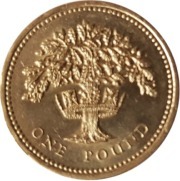 The 1992 One Pound Coin - Oak Tree (a British one pound (£1) coin) is a denomination of the pound sterling. Its obverse bears the Latin engraving "Dei Gratia Regina" meaning, "By the grace of God, Queen" and FD meaning "Defender of the Faith."